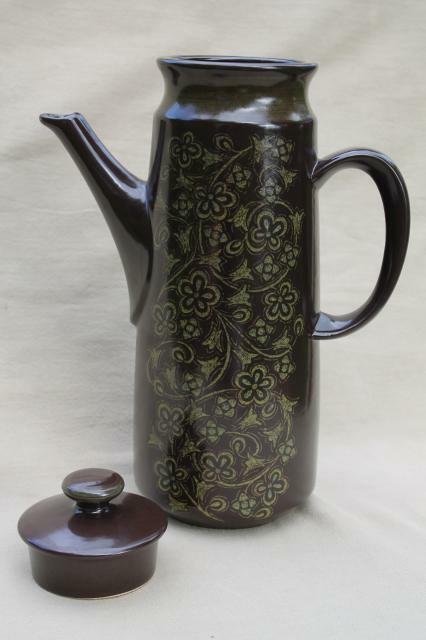 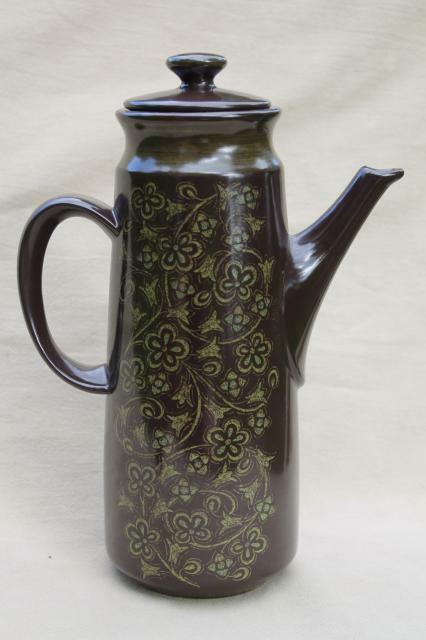 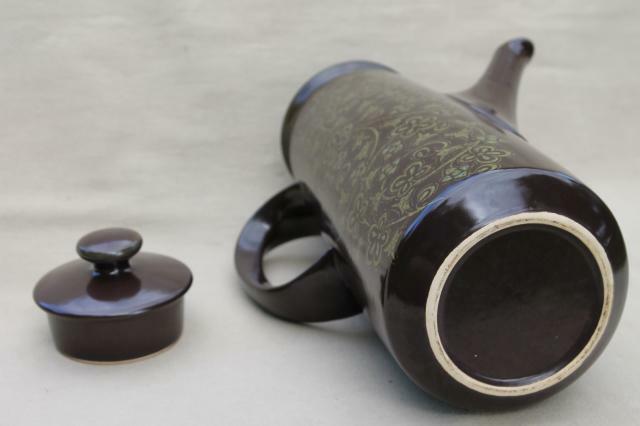 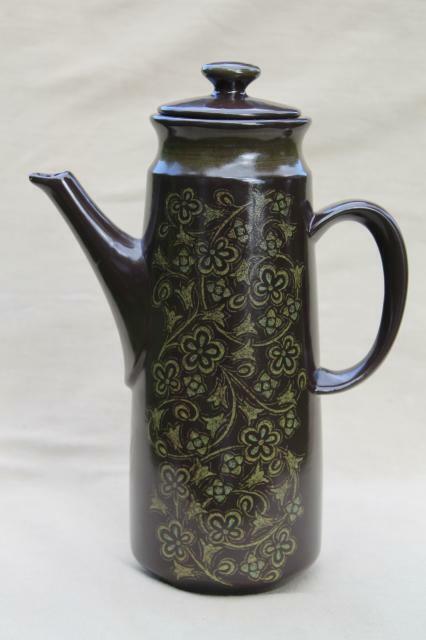 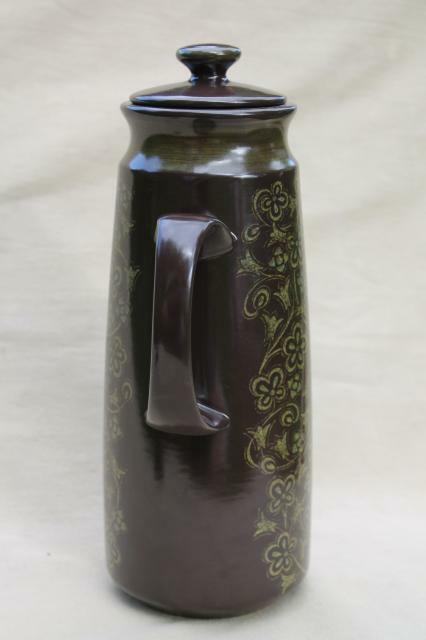 Vintage Franciscan Madeira coffee pot, dark brown with pattern in green. 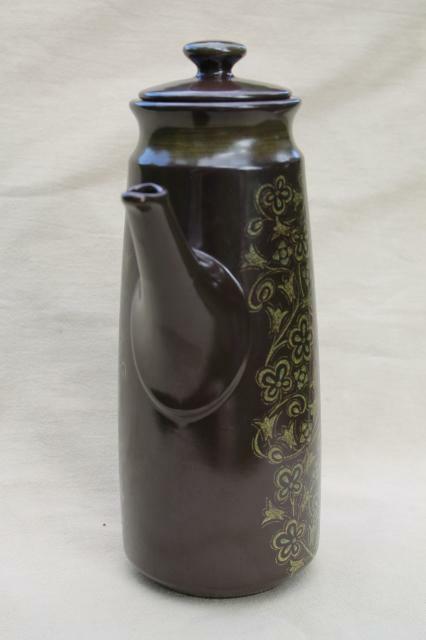 This is about 13" tall overall. 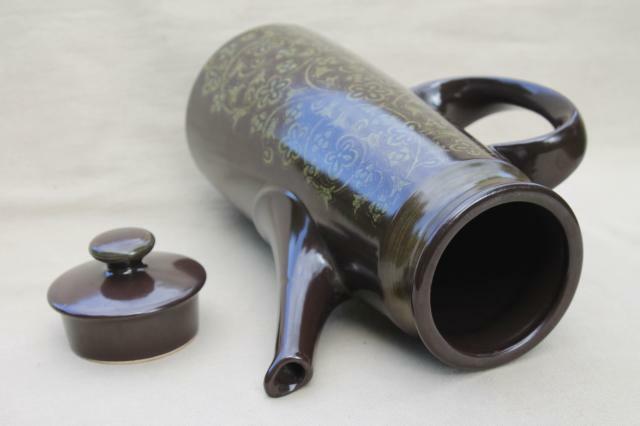 It's in excellent condition without chips or damage.